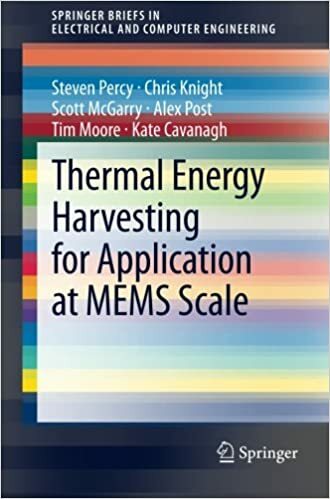 This book discusses the history of thermal heat generators and focuses on the potential for these processes using micro-electrical mechanical systems (MEMS) technology for this application. The main focus is on the capture of waste thermal energy for example from industrial processes, transport systems or the human body to generate useable electrical power. A wide range of technologies is discussed, including external combustion heat cycles at MEMS ( Brayton, Stirling and Rankine), Thermoacoustic, Shape Memory Alloys (SMAs), Multiferroics, Thermionics, Pyroelectric, Seebeck, Alkali Metal Thermal, Hydride Heat Engine, Johnson Thermo Electrochemical Converters, and the Johnson Electric Heat Pipe.